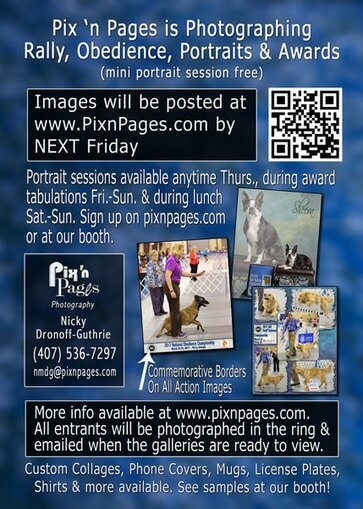 2017 AKC Obedience and Rally National Championships image galleries are now EXPIRED. 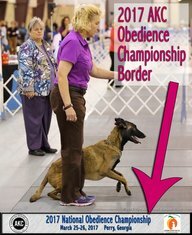 2017 AKC Obedience Border - will be on ALL action images unless requested otherwise. 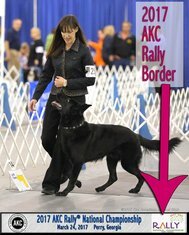 2017 AKC Rally Border - will be on ALL action images unless requested otherwise. The Commemorative Border will be at the bottom of ALL Obedience and Rally action images (print and electronic) unless requested otherwise. It WILL NOT cover anything on the print (see image), nor will it be on awards or portraits unless you request it in "Comments" at check out.